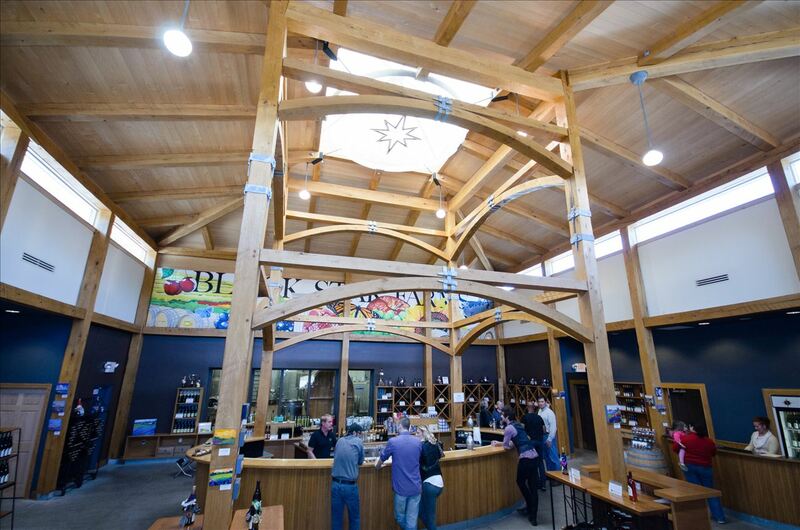 Located just 15 minutes from downtown Traverse City, on the west side of scenic Leelanau Peninsula is Black Star Farm's original tasting room. The gorgeous 160-acre estate also features a winery, destination Inn, Hearth & Vine Cafe, unique event venues, an equestrian facility and hiking trails. In addition to multiple tasting bars, Black Star Farms offers wine by the glass and half glass on a the seasonal The Terrace patio. Wine Club members and guests of The Inn have access to The Barrel Room where they will have an exclusive experience and level of refinement above and beyond the tasting room.